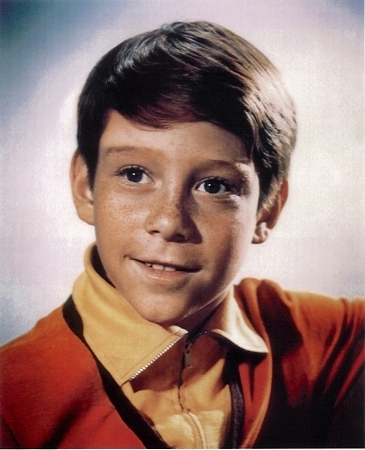 Bill Mumy is a multi-talented, prolific artist who entered the arena of professional entertainment at the age of five. He has worked on over four hundred television shows and is best known by fans around the world for the creation of his memorable roles as the heroic boy astronaut, "Will Robinson" on the long running classic series "Lost in Space", “Anthony Fremont” from The Twilight Zone and “Lennier” from in the popular science fiction series "Babylon 5" which he co-starred in for five years. Bill is a member of the Academy of Motion Picture Arts and Sciences and has been in eighteen feature films, including "Dear Brigitte", "Rascal", "Bless the Beasts and Children", and "Papillion". Currently, Bill is a consulting Producer on the long running hit television series, “ANCIENT ALIENS”. Mumy is a prolific voice over artist. In 2015 he gave voice to President Abraham Lincoln in The History Channel’s “Civil War: Blood and Glory” miniseries. Bill has narrated over 50 episodes of A & E ‘s “Biography" series as well as hosting and narrating several other documentaries and specials for A & E, The Sci Fi Channel and E Entertainment. His voice over acting talents can be heard on animated shows like “Rescue Bots”, “Bravest Warriors”, "Ren and Stimpy", "Scooby Doo", "Batman: the Animated Series", "Steven Spielberg's Animaniacs", "Little Wizard Adventures", "The Oz Kids" and Disney’s "Buzz Lightyear: Star Command". He’s also voiced dozens of national commercials such as "Farmer's Insurance" ,"Ford", "Bud Ice", "Blockbuster", "Twix", and "Blue Cross/Blue Shield”. 2015 marked the 50th Anniversay of Lost in Space with an impressive 18 disc BluRay release from Fox. The Bonus material included in the BluRay features an original cast performance of Bill’s “The Epilogue” script that resolves the classic series. Bill co-produced, directed, wrote and starred in the bonus material. To coincide with the anniversary, Bill has co-written a book with his Lost in Space “sister”, Angela Cartwright, “Lost (and Found) In Space” featuring never before seen photographs and their memories of filming the classic series. With acclaimed writer Peter David, Bill co-created, produced and wrote "Space Cases", a live action sci-fi adventure comedy series on Nickelodeon and syndicated in over sixty all around the world. The series ran for two seasons, 1996 -97, and was nominated for a Cable Ace Award for best children's series. He also co-wrote the theme song for that show as well as the themes for the 2003 Animal Planet specials: "50 Greatest Animals of TV" and "50 Greatest Animals of Films" and "TV Guide Looks At...", "Hollywood Backstory", and "Studio Portraits". Bill has written dozens of songs and themes to many different film and television projects. Bill was nominated for an Emmy for Outstanding Achievement in Music Direction and Composition for the live-action Disney series "Adventures In Wonderland". Bill wrote and recorded one hundred and five songs for the one hundred episodes of that series. He has worked with the pop group "America" off and on for over thirty years, composing, producing and performing with the band. He is currently finishing up an album as part of a new rock trio, “ACTION SKULLS”, featuring Bill, Vicki Peterson of the Bangles and John Cowsill of the Beach Boys and the Cowsills. Comic books have been a passion of Bills since childhood, and he has written scores of them. He co-created "The Comet Man" and "The Dreamwalker" for Marvel as well as scripting "The Hulk", "Spider-Man", "Iron Man", "She Hulk", "Wonder Man" and other Marvel characters. He also wrote the "Lost in Space" comic book for Innovation in the 90's and the acclaimed 360 page graphic novel, “Lost in Space: Voyage to the Bottom of the Soul”. His co-creation "Trypto, The Acid Dog" was featured in "Dark Horse Presents". For DC comics he's written "Aquaman", "The Spectre" and three issues of the "classic" "Star Trek" series. 2013 saw the release of his “Curse of the Mumy” comic book published by Bluewater comics. His short stories, "The Black '59" and "The Undeadliest Game" co-written with Peter David, were originally printed in Pocket Books, "Shock Rock" and "Shock Rock Volume 2". They're now published in many languages all over the world. Bill lives with his wife Eileen and their many dogs in Laurel Canyon. Their two children, Seth and Liliana have also made their mark as actors. When TV Guide listed their top 100 television episodes of all time, two of them starred Bill Mumy.